Holiday Greetings from LookOutScarborough.com | Look Out Scarborough! This special time of year is full of wonderful traditions that bring families, friends and communities together. 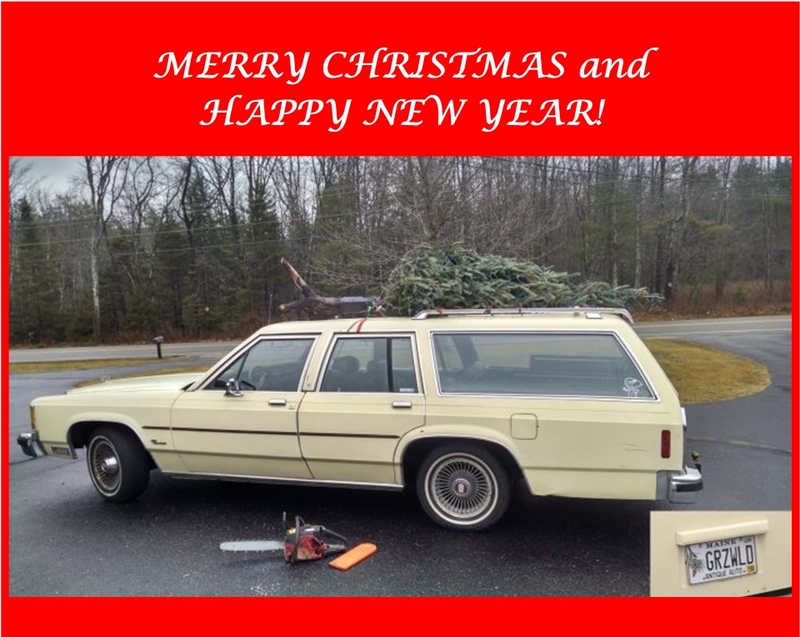 Perhaps our favorite local tradition is the reincarnation of Clark Griswold’s station wagon – topped with the perfect (and uprooted) tree – that can be seen cruising the streets of Scarborough during the Christmas season. Its whimsy reminds us of Clark’s unfailing optimism and basic good-heartedness as he strives to give his family a perfect Christmas despite numerous obstacles. May that spirit be with you this holiday season and throughout the coming year. Thank you for your support of LookOutScarborough.com during the past year. After our holiday break, we look forward to continuing to provide information, analysis and informed opinions about the latest developments in Scarborough. And, Clark, this year’s tree sure was a beaut! This entry was posted in Uncategorized on December 25, 2015 by Site Author.